Niaouli essential oil (organic) (3 ml) + Eucalyptus radiata essential oil (organic) (3 ml) + Lemon essential oil (organic) (3 ml) . Prepare the mixture in a 10-ml amber glass bottle. Pour a few drops in an electric diffuser. Let it run for 5 minutes every hour. Niaouli essential oil (organic) (2 drops) + mediterranean cypress essential oil (organic) (2 drops) + Eucalyptus radiata essential oil (organic) (2 drops) + Macadamianut Oil (organic) (10 drops) + Ravintsara essential oil (organic) (2 drops) . This mixture is suitable for bronchitis with a dry cough. Mix oils and massage the back and chest. Alternate massages: for 2 weeks perform a massage 4x/day. Then, for two weeks, perform 2 massages a day. Let one week go without massaging. Renew in the same order for the 4 following weeks. Niaouli essential oil (organic) (1 ml) + mediterranean cypress essential oil (organic) (1 ml) + Peppermint essential oil (organic) (0.5 ml) + Juniper essential oil (organic) (1 ml) + Mastic essential oil (organic) (0.5 ml) + Patchouli essential oil (organic) (1 ml) + Calophyllum Oil (organic) (50 ml) . This lotion to be prepared by yourself is to be applied to the legs, in an upward massage (from bottom to top). Perform 2 massages (once in the morning and once in the evening) for 5 minutes. Niaouli essential oil (organic) (2 drops) + Eucalyptus radiata essential oil (organic) (1 drop) + Peppermint essential oil (organic) (1 drop) . Pour these drops of essential oils in your inhaler or a bowl of boiling water. Inhale deeply the vapours for 3 to 5 minutes. Repeat twice a day (morning and evening) until improvement. Niaouli essential oil (organic) (3 drops) + Cinnamon bark oil (organic) (1 drop) + Oregano essential oil (organic) (1 drop) + Lemon essential oil (organic) (2 drops) . Prepare a mixture with these essential oils. Apply 1-2 drops of this mixture previously diluted in some aloe vera gel or neutral cream base (Creme Elementaire) onto the stomach area, 3-4 times per day. Niaouli essential oil (organic) (1 ml) + Sweet almond oil (organic) (1 ml) + Lemon essential oil (organic) (1 ml) + cedar essential oil (organic) (1 ml) + Palmarosa essential oil (organic) (1 ml) + Perfume free Hair & Body Liquid Soap (250 ml) . Add essential oils to your neutral base and wash your hair normally. Niaouli essential oil (organic) (6 drops) + Peppermint essential oil (organic) (6 drops) + mediterranean cypress essential oil (organic) (6 drops) + Juniper essential oil (organic) (6 drops) + Mastic essential oil (organic) (6 drops) + Jojoba Oil (organic) (20 drops) . Mix all components and put them in an opaque bottle. Massage from the foot to the thigh, 3x/day until improvement. Niaouli essential oil (organic) (2 ml) + Aspic Lavender essential oil (organic) (2 ml) + Peppermint essential oil (organic) (2 ml) + Ravintsara essential oil (organic) (2 ml) + Sweet almond oil (organic) (6 ml) . Before the spot appears, apply one drop of the mixture 10 times a day. If the spot is already present, apply 2 drops 4 to 5 times a day until it disappears. Avoid exposure to sun. Niaouli essential oil (organic) (3 drops) + Peppermint essential oil (organic) (3 drops) + Hemp Seed Oil (organic) (9 drops) + Aspic Lavender essential oil (organic) (3 drops) + Ravintsara essential oil (organic) (3 drops) . In a 10-ml vial, add all ingredients and put one drop on the area up to 6x/jour. Niaouli essential oil (organic) (1 drop) + Peppermint essential oil (organic) (1 drop) + Winter Savory essential oil (organic) (1 drop) + thyme thujanol essential oil (1 drop) + Pumpkin Seed oil (organic) (5 drops) . Mix the essential oils, the vegetable oil and a pinch of salt. Gargle and spit out. 3x/day. Niaouli essential oil (organic) (1 drop) + Lavender essential oil (organic) (1 drop) + Lemon essential oil (organic) (1 drop) + Mandarin green essential oil (1 drop) + Patchouli essential oil (organic) (1 drop) . Pour essential oils into a bowl of very hot water. Place your face over the bowl for a quarter of an hour. To enhance the effect, place a towel over your head. 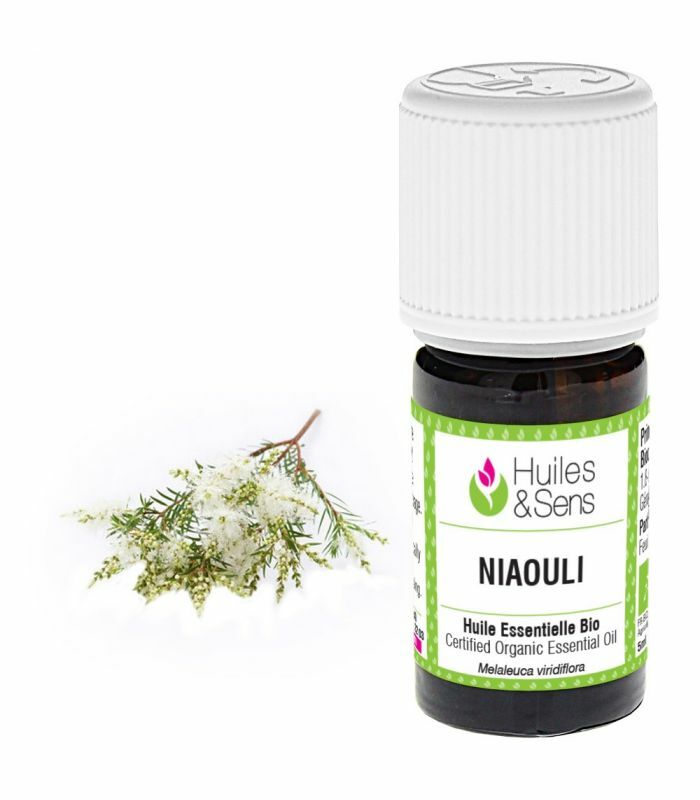 Niaouli essential oil (organic) (1 drop) + Eucalyptus radiata essential oil (organic) (1 drop) + Tea-tree essential oil (organic) (1 drop) + thyme linalol essential oil (organic) (1 drop) + Macadamianut Oil (organic) (5 drops) . Mix all ingredients and massage the contour of the ear 3x/day. Niaouli essential oil (organic) (1 drop) + thyme thujanol essential oil (1 drop) + Solub-HE (4 drops) . Prepare a mixture with these 4 essential oils. Apply 2-3 drops of this mixture previously diluted in some aloe vera gel or neutral cream base (Creme Elementaire) 2-4 times per day onto the chest. Niaouli essential oil (organic) (0.5 ml) + Tea-tree essential oil (organic) (0.5 ml) + thyme thujanol essential oil (0.5 ml) + Bay Laurel essential oil (organic) (0.5 ml) + Calendula macerate (organic) (5 ml) . Prepare a lotion with these essential oils and the calendula maceration. Gently massage the throat with a few drops of the mixture 3 to 4 times a day for 3 days. Niaouli essential oil (organic) (3 drops) + Eucalyptus radiata essential oil (organic) (3 drops) + Lavender essential oil (organic) (3 drops) + Ravintsara essential oil (organic) (3 drops) + thyme thujanol essential oil (3 drops) . Diffuse 5 minutes per hour, every hour. You can also directly inhale from the bottle 3x/day. Niaouli essential oil (organic) (1 ml) + thyme thujanol essential oil (1 ml) + Cistus essential oil (organic) (1 ml) + Tea-tree essential oil (organic) (1 ml) + Helichrysum essential oil (organic) (0.5 ml) + Myrtle essential oil (organic) (1 ml) + Rosehip Oil (organic) (50 ml) . This mixture is suitable for after delivery. Massage affected areas with a few drops morning and evening until improvement. Niaouli essential oil (organic) (0.5 ml) + Ylang Ylang complete essential oil (organic) (0.5 ml) + Neroli essential oil (0.5 ml) + Mandarin green essential oil (0.5 ml) + Rosehip Oil (organic) (50 ml) + Argan oil (organic) (50 ml) . This formula is to be used in prevention (in the months before delivery). Massage affected areas (thighs, stomach, buttocks) with 5 drops of this mixture twice a day. 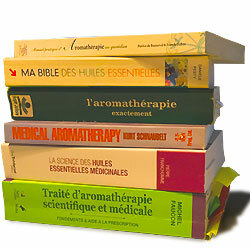 The concentration of essential oils is set at 2% (do not exceed proportion).